Multiple Sclerosis (MS) is an autoimmune disease in which the immune system attacks and destroys myelin- the fatty, protective layer of tissue which insulates nerve cells in the central nervous system and helps to transmit electrical signals throughout the body. This chronic and degenerating disease affects more than 1.2 million people worldwide, with symptoms ranging from mild numbness to paralysis and blindness. The most common form of MS is relapsing-remitting MS (RRMS), in which periods of mild or no symptoms are interspersed with periods of more severe symptoms, called relapses. RRMS can change into a progressive form where symptoms worsen over time without any symptom-free periods. RRMS can be treated with medications that suppress the immune system and reduce inflammation. However, these drugs can cause serious side effects. High Dose immunosuppressive therapy with autologous hematopoietic cell transplant has been found to be a promising tool to stop the progression of MS in patients with early stage RRMS. In this treatment, a patient’s hematopoietic stem cells (HSCs)—precursor cells that develop into blood cells—are collected. High-dose chemotherapy and other drugs are then used to deplete the patient’s immune system. Finally, the patient is infused with his or her own HSCs, which develop into red and white blood cells to re-establish the patient’s immune system. Three years after HDIT/HCT treatment, nearly 80% of trial participants had survived without an increase in disability, relapse of MS symptoms. Patients didn’t receive any MS drugs during those 3 years. “These promising results support the need for future studies to further evaluate the benefits and risks of HDIT/HCT and directly compare this treatment strategy to current MS therapies,” says NIAID Director Dr. Anthony S. Fauci. Another collaborative study was conducted between Northwestern’s Feinberg School, University Hospital Zurich in Switzerland and University Medical Center Hamburg-Eppendorf in Germany. 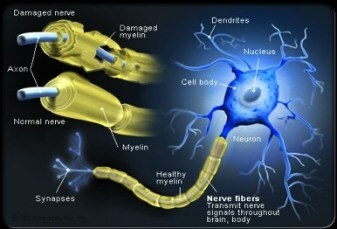 A phase 1 clinical trial for the first treatment to reset the immune system of multiple sclerosis (MS) patients showed the therapy was safe and dramatically reduced patients’ immune systems’ reactivity to myelin by 50 to 75 percent. In this study, the researchers filtered the white blood cells out of the patients’ blood, processed them and combined them with myelin antigens (the parts of the myelin protein that the immune system reacts to). They then injected billions of the processed white blood cells, packed with myelin antigens, back into the patients. The cells entered the spleen, which filters the blood and helps the body eliminate old and dying blood cells. It is during this process that immune cells recognize the myelin antigen as harmless and immune tolerance develops. This was confirmed in the patients by immune assays, say the researcher’s team in Hamburg.